Don't limit your trip by how many clothes you can pack! 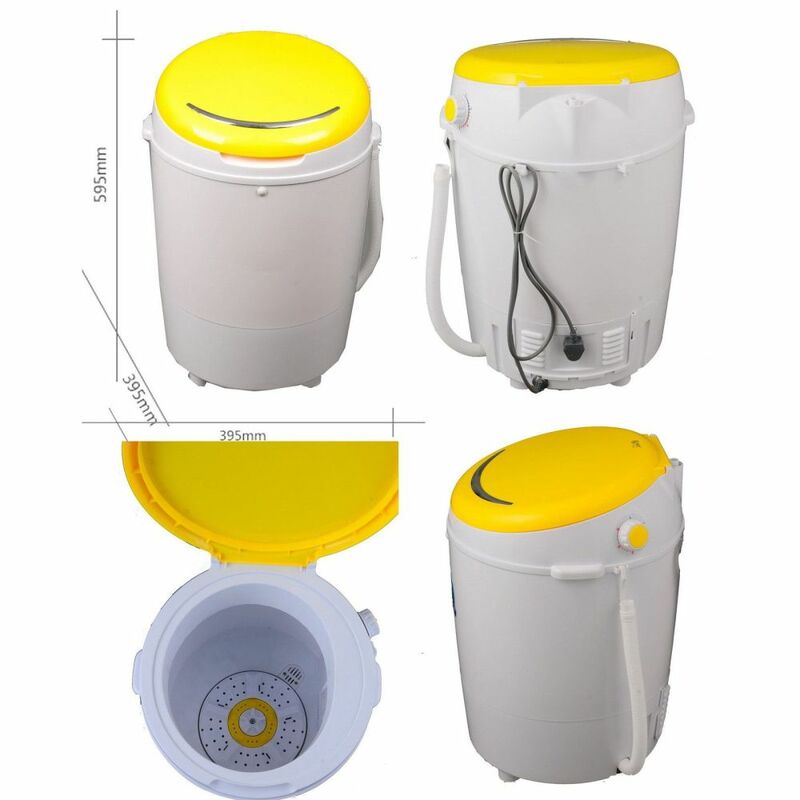 This 2-in-1 portable washing machine and spin dryer includes a capacity of 3.5 KG and 15 minute wash time. Camping with kids is tough, you can never carry enough clothes. They are bound to spill food and drinks or fall right in the puddle or mud. Even if you account for 3-4 changes of clothes per day, you find yourself falling short over the last few days. How do you travel light, but also carry practically an entire closet full of fresh clothes for the little ones? Perhaps you don't have to. 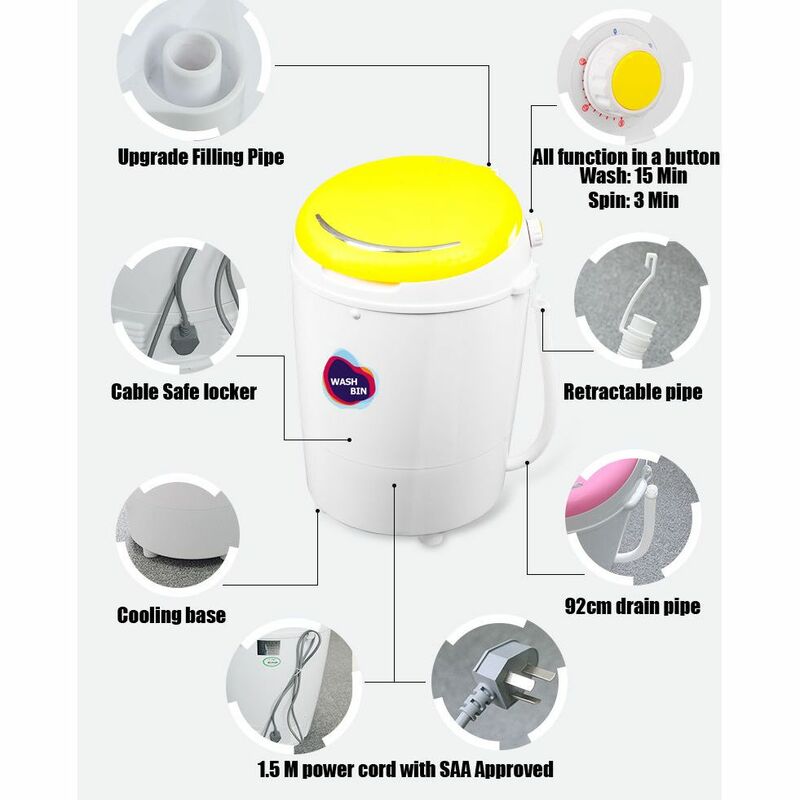 This mini portable washing machine and spin dryer is innovative convenience at it's finest! Featuring a full plastic waterproof cabinet and 3.5kg washing capacity, you can wash and dry items in under 20 minutes. 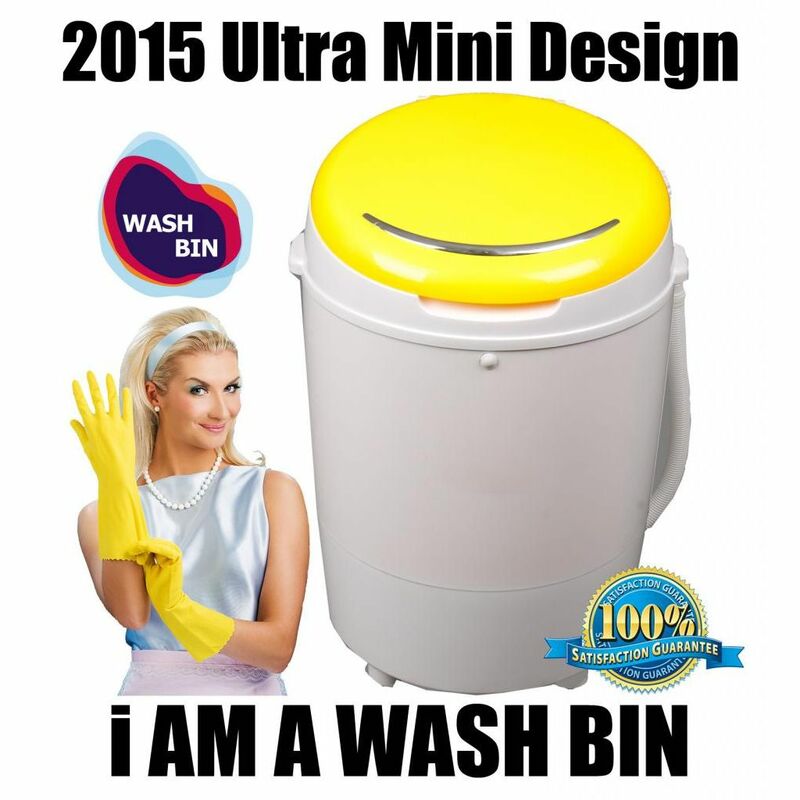 It's ideal for washing baby and kids clothes, underwear, t-shirts, tea towels, bathers, and just about anything else. Freshening up your clothes and linen while camping or caravanning has never been simpler! 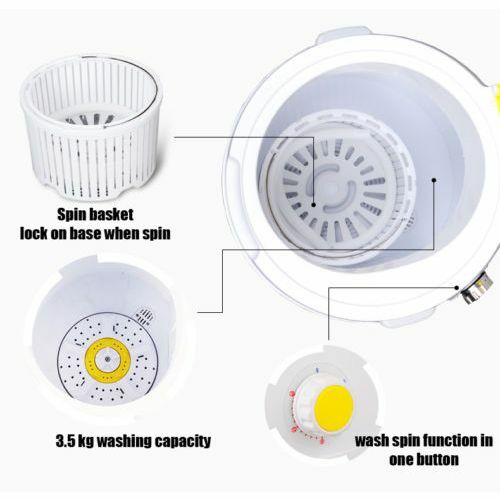 Please note: Spinner has smaller capacity than wash tub - to be considered when adding wet clothes as they will be a lot heavier wet than dry. NOTE: Additional shipping will be required for all non-metro areas (40km radius of CBD). To receive a shipping quote please fill in the below request form.